Our desire is to encourage and support families as they provide a spiritual foundation for their children. As we teach them scripture, biblical principles, and lifestyle applications, we pray that they will develop a growing relationship with Jesus Christ and learn how to share Him with others. Children will leave their classes with long-lasting relationships, smiles, and a new understanding of God’s plan. We're happy to serve you and your family. We offer Sunday school classes for all ages, from infants to 5th grade, during our 9:00am and 10:45am Sunday services. When you get here our greeters will direct you to the check-in station where you will sign your child in and let us know if any of your children have any special needs. In order to best care for our families we have a computerized check-in system. Our greeters will gladly help you and your family get checked in. Contact Sarah if you have any questions. Select all that apply. If unsure, select both. Please list the full name of the authorized adult, followed by their relationship to your child. Are there any adults who are restricted from picking up your child(ren)? Please list names below, if applicable. If you'd like to share more please email sarah@hillside.org. Any other information you would like to share about your child(ren) and your family? I am aware that photographs or video may be taken of Hillside Church Children's Ministry participants during events, activities, and classes by Hillside staff members, professional photographers, or volunteers. I also understand that my child is not required to have their picture taken. I waive the right to see or approve any publications that contain photographs of my child. I release Hillside and its representatives from responsibility for any harm or invasion of privacy that may occur or be produced by taking photographs or video of my child. I certify that I have read the above authorization, release, and agreement, and fully understand what this document says. I give Hillside and its representatives permission to use photographs or video that include my child in any and all media products for promotion, art, advertising, editorial, or other purposes. This may include but is not limited to newsletters both print and email, posters, brochures, ads, post cards, and web pages. Yes, I agree to the above stated photo release. No, I do not agree to the above stated photo release. Thank you for filling out the Hillside Kids registration form. If you have any questions, please contact Sarah. ¿A qué Estudio Bíblico de Adultos asisten los padres? ¿A cuál Servicio de Adoración asisten los padres? ¿Alguna "restricción"? ¿quién no puede recoger a su niño(s)? Es de mi conocimiento que pueden ser tomadas fotografías o videos de los participantes del Ministerio de Niños de Hillside durante eventos, actividades, y clases por miembros del personal, fotógrafos profesionales, o voluntarios. Y también entiendo que no es requerido que a mi hijo se le tomen esas fotos. Renuncio al derecho de ver o a aprobar cualquier publicación que contenga fotografías de mi hijo. Eximo a Hillside y sus representantes de responsabilidad ante cualquier daño o invasión de la privacidad que puede ocurrir o ser producido por tomar fotografías o video de mi hijo. Certifico que he leído la autorización anterior, liberación, y acuerdo, y entiendo en su totalidad lo que dice este documento. Autorizo a Hillside y sus representantes para utilizar fotografías o video que incluyen a mi hijo en cualquier producto y de todos los medios para la promoción, arte, publicidad, editorial u otro propósito. Esto puede incluir, pero no está limitada a cartas en las dos formas impresión y correo electrónico, carteles, folletos, anuncios, tarjetas postales y páginas web. Si, estoy de acuerdo con dar el permiso para la toma de fotos mencionado arriba. No, no estoy de acuerdo con dar el permiso para la toma de fotos mencionado arriba. Our infants and toddlers may be crawling and toddling, but they're a fun bunch! Our teachers read books, sing songs, and soothe little one's during our Sunday morning services. 2's, 3's & 4's at Hillside are learning and growing, interacting with God's Word every week. Our teachers lead children through a lesson as well as in play, with songs and crafts and outdoor fun! 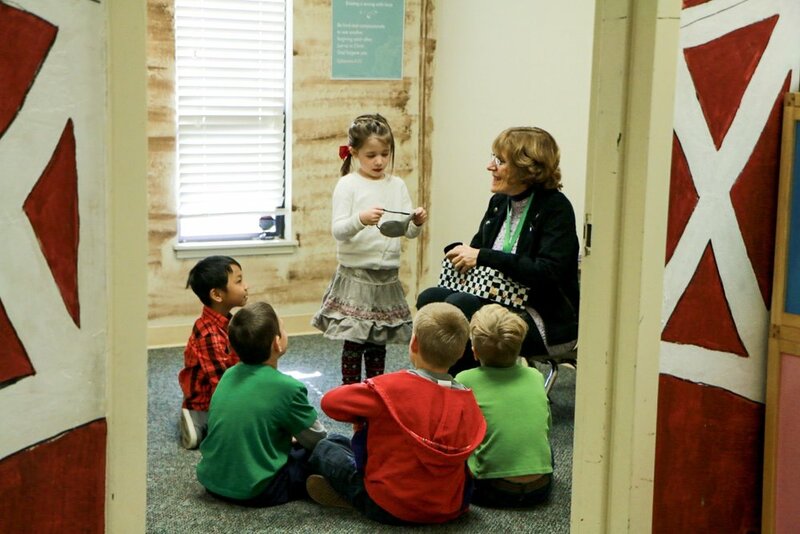 From Kindergarten to 5th grade, kids in the Kids Zone learn Biblical truths while having fun. Engaging teachers, fun songs, and interactive games make God's Word come alive! Have questions? We've got answers! Contact Sarah for more information.